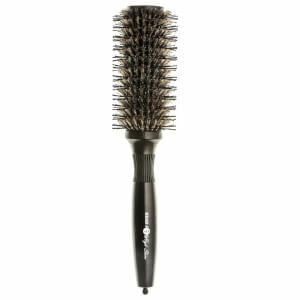 Smooth and detangle your hair with Head Jog's 121 High Shine Paddle Hair Brush, a premium quality, professional brush that utilises both boar and nylon bristles for sleek, high shine results. 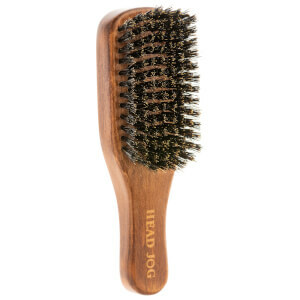 Designed to withstand high heat for durability, the paddle brush features natural boar bristles that evenly distribute oils from root to tip whilst reducing snagging and pulling, and tourmaline-infused, flamed tip* nylon bristles that emit ions to help eliminate frizz, enhance shine and provide a gentle touch on the scalp. Hair is left smooth and sleek with glossy shine. Complete with a rubber grip section to the handle for ultimate comfort.